Posted on October 1, 2016 by Mike Sonnenberg Posted in courthouses, upper peninsula	. 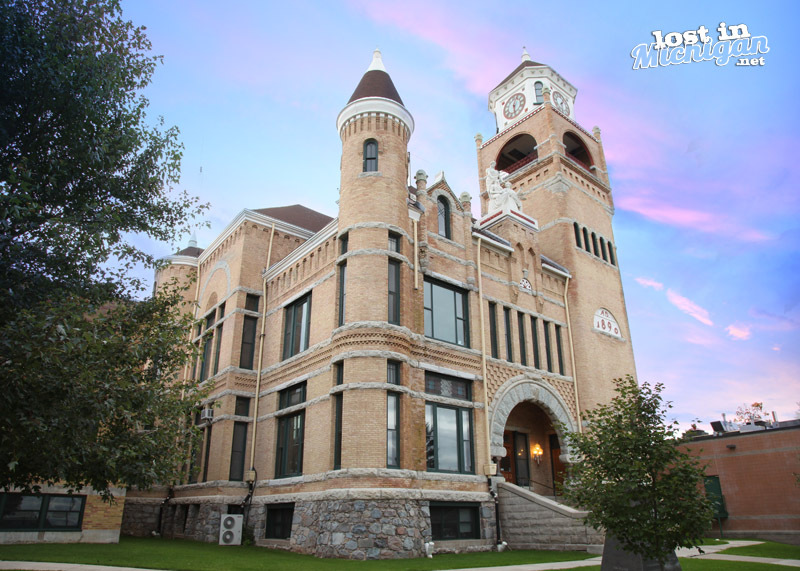 The Iron County courthouse is a magnificent building, almost castle like, at the top of the hill, looking over the city of Crystal Falls. The Richardsonian Romanesque Style building which was completed in 1891. Constructed of regional materials, including reddish stone columns quarried from the nearby Paint River and yellow clay bricks. You can’t miss this old courthouse when traveling across the Upper Peninsula on U.S. 2, as it takes you thru the city of Crystal Falls. As you drive up the hill, heading west thru downtown, the building is looking down on you, almost as if it’s judging your character. I guess that’s one more reason why it is such and impressive courthouse.